The currency of St. Lucia is the Eastern Caribbean Dollar (used by 8 islands in the OECS) which is linked to the US Dollar at the exchange rate of 1 US$ to 2.70 EC$. If you go to a bank and exchange US cash (bills only) you will be paid at a standard rate of 2.67. If you change in a hotel or use US$ in a business place you will likely receive a lower rate – 2.65 or even 2.5. 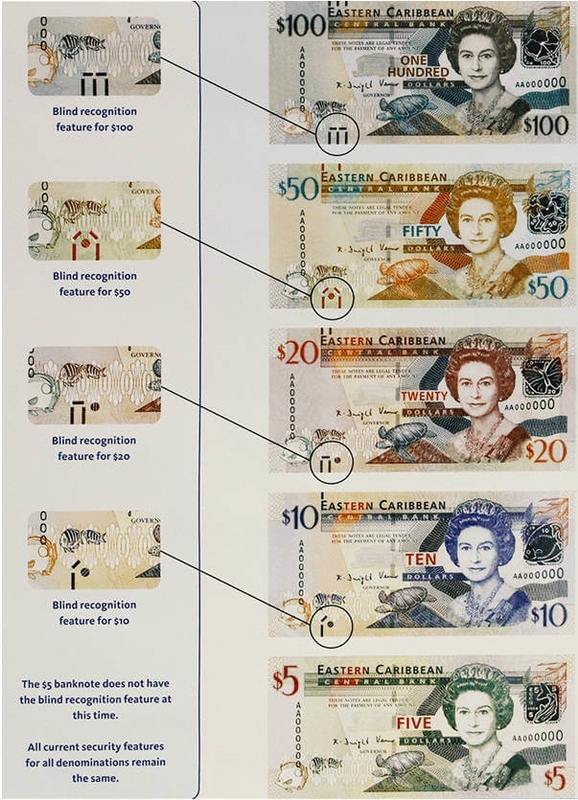 US dollars are widely accepted on the island, but keep in mind that EC$ are the only legal tender, US, Canadian and Euro are accepted out of courtesy, but you should not expect to get your change in the same currency. Many places won’t accept US$50 or 100 bills or damaged bills. There is too much risk of counterfeit to risk taking the large notes and dirty or damaged bills will not be accepted by local banks because they then have the cost of repatriating them to the treasury of the country of origin. Bring clean notes and small denominations and you’ll be fine. Major international credit cards are widely accepted at all large shopping centres, restaurants, hotels, etc, but Saint Lucia does not have access to mobile credit card services like Square etc as these require a USA or UK bank account, so expect to pay small shops and vendors in cash. Businesses accepting credit cards are not allowed to pass on the credit card charges to you as the customer. Value Added Tax of 15% is added to most prices in Saint Lucia except for businesses that have annual turnover below the threshold for charging VAT. It’s required by law, that a business must display their VAT certificate, so you can always check. VAT is 10% on hotel and restaurant bills. A service charge (usually 10%) is also applicable. In most cases, these charges aren’t included in prices quoted, so it is best to clarify. Occasionally prices quoted don’t include VAT – so if you’re not sure, just ask. VAT is not supposed to be added to Service Charge. Service Charge is not the same as a tip! It is charged by the restaurants to pay for the cost of sitting at a table and being served, breakages etc, some may go to the chef or supervisors and some may go to staff, but it is not a guarantee, so do tip if you wish to thank your servers. 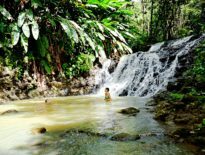 « Where is Saint Lucia and how do I get there?